As you can see by the title of the article below, General Dynamics Electric Boat is definitely looking like a winner right now when it comes to funding the next generation ballistic missile submarine (and yes, that makes taxpayers the loosers in this one). Of course, it really helps that people in Congress like Representative Joe Courtney, D-2nd District, a member of the House Armed Forces Committee, whose district just happens to be home to Electric Boat, are doing some serious cheer leading for this project. In Courtney's case, he is just doing what legislators do - take money from special interests and then do their bidding. According to OpenSecrets.org Courtney's largest contributor to his campaign committee (2013-2014) was... That's right - General Dynamics!!! General Dynamics contributed a total of $20,500 ($12,000 as individuals and $8,500 as PACs). Should we be surprised that Courtney is so gung ho for New Trident??? 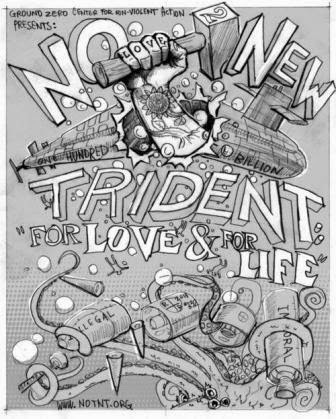 Read the article below to learn all about the funding shenanigans going on to be sure that New Trident gets fully funded without devastating the Navy's shipbuilding budget. Washington – Benefiting from the Pentagon's plans to "rebalance" the U.S. military, Electric Boat is a big winner in a $600 billion defense authorization bill that is expected to soon win House approval. The Defense Authorization Bill, reported out of the House Armed Services Committee late Wednesday, approves about $6 billion to build two new Virginia class submarines jointly built by Electric Boat in Groton and Newport News Shipbuilding in Virginia. But the bill also contains nearly $1.3 billion for a new class of submarines that will be the largest and most expensive in the U.S. military and that Electric Boat will help build. In another boost for Electric Boat, the committee approved a new way to pay for this new fleet of submarines, with a tactic that hasn't been used since the 1980s. The so-called Ohio replacement submarines will replace the Navy’s fleet of aging Ohio class subs -- also built by Electric Boat. They each hold 22 Trident nuclear missiles and were designed specifically for extended war-deterrence patrols. Each Ohio class sub is provided with two complete crews, called the Blue crew and the Gold crew, and special hatches to speed repairs and minimize time at port. They are nearly constantly on patrol. “The Ohio class sub is the most important warship in the entire fleet because it is meant to deter a nuclear war,” said Loren Thompson, a defense analyst at the Lexington Institute. The Ohio subs' replacements will be smaller and carry fewer missiles. Because they will carry Trident missiles, the replacement subs are also nicknamed “boomers,” like the Ohio class submarine. And the replacement submarines will still be the largest in the U.S. military – and cost at least $5 billion per sub, compared to the $2.7 billion price tag of the Virginia class submarine. The money in the Defense Authorization Bill would allow Electric Boat to move forward on the research and development of the new nuclear sub. Actual construction of the first submarine is scheduled for 2021. Electric Boat spokesman Bob Hamilton said the defense contractor has been working on plans for the replacement sub for five years. “It’s a fairly lengthy process,” he said. The Navy won’t send out a contract to build the first warship in the new fleet for years. But Electric Boat is considered the front-runner. Another boost in the bill for the Ohio replacement sub program is the establishment of a “National Sea-Based Deterrence Fund” outside the Navy’s shipbuilding budget. “Congress and the administration have debated for years how to provide money for the replacement subs. This would address that problem,” Thompson said. Rep. Joe Courtney, D-2nd District, a member of the House Armed Forces Committee, and whose district is home to Electric Boat, said this is a major breakthrough for EB and the Ohio replacement submarine program. He also lauded the bill's authorization of spending on Virginia class subs. "While other areas of the defense budget will see cuts, I am pleased that these reliably successful — and strategically critical — programs are securing full funding, and I hope to see this bill adopted by the House soon,” Courtney said in a statement. The problem that looms as the Navy moves to replace the Ohio class subs is that their replacements are so expensive that appropriating money for them would distort the Navy’s shipbuilding budget and could result in cutbacks in the procurement of other ships. “The Navy is trying to pull a fast one here,” said Gordon Adams, an American University professor who teaches national security policy. With the help of friendly lawmakers, including Courtney, the Navy promoted the replacement sub as a national security asset that deserves its own category of funding to keep it from becoming a victim of the nation’s shrinking defense budget, Adams said. The last time this tactic was employed, he said, was when President Reagan wanted a anti-ballistic missile “Star Wars” program that would have strained the budgets of all branches of the armed forces. That method of funding ballistic missiles survives. 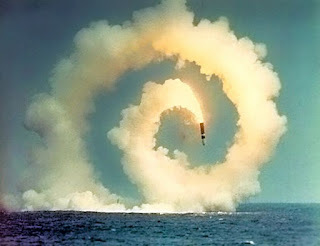 But Adams thinks the concept of the “National Sea-Based Deterrence Fund” will falter in the Senate and not become part of a final defense authorization bill. He added that he thinks the Navy will find a way to pay for the new fleet of “boomers” anyway. “Whatever it does, it’s a win-win for Electric Boat,” he said. A big reason that Electric Boat is thriving as the Pentagon winds down the Afghanistan war -- and across-the-board budget cuts known as sequestration eat away at the defense budget -- is that submarines and the Navy as a whole play a big role in the reconfiguration of the U.S. military. The Quadrennial Defense Review of 2014, the Pentagon's latest blueprint for operations, calls for a"rebalancing" of the armed services so that the Army is reduced in strength and the Navy becomes more important -- and more focused on the Pacific to counter any threats that may come from North Korea and China. "Building security globally and projecting power will continue to require sea power – on, above, and below the world’s oceans. The Navy will continue to build a future fleet that is able to deliver the required presence and capabilities and address the most important war-fighting scenarios," the Quadrennial Review says. 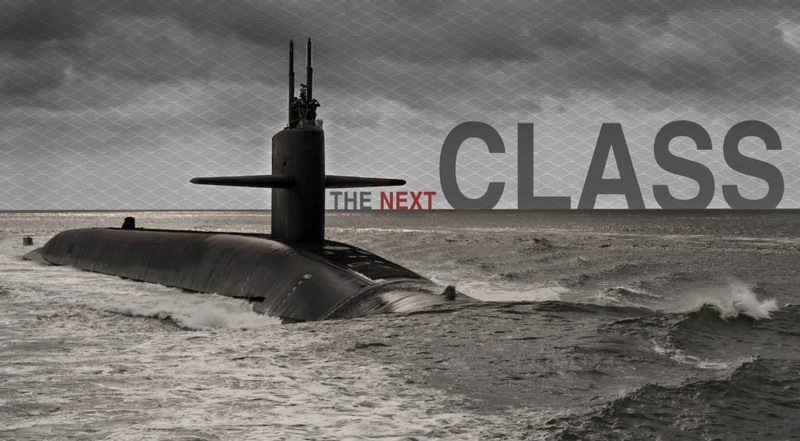 A top priority, according the the Pentagon's review: "maintaining a credible, modern, and safe-based strategic deterrent, including required investments to start (Ohio Class replacement) submarine construction in FY2021."